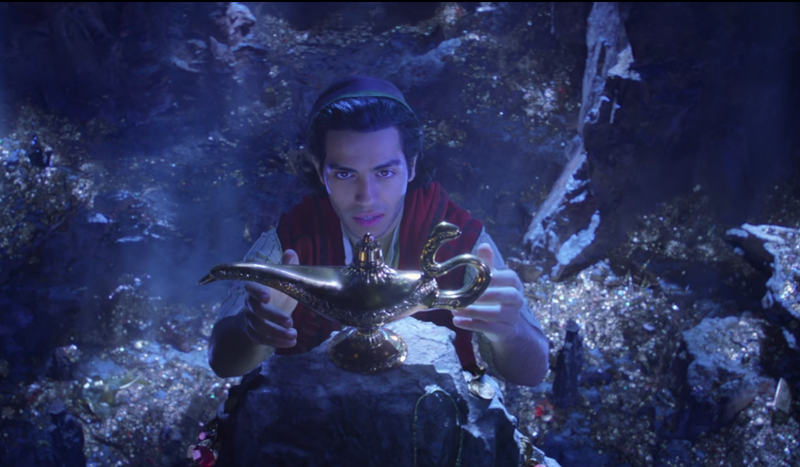 For most of us, the release of the recent teaser for Disney’s live-action, Guy Ritchie-directed Aladdin was little more than a digital comma, a 90-second lacuna in which our brains neutrally registered the thought, “Oh, yep, that’s Aladdin,” and then moved on. But for at least one of the people partially responsible for the 1992 animated original, it was something even more frustrating than the indignity of not getting a glimpse of Will Smith as Genie, with screenwriter Terry Rossio expressing his displeasure with the teaser on Twitter. To be fair, Rossio—whose other credits include Shrek, Treasure Planet, and several Pirates Of The Caribbean movies—is a prolific and cantankerous tweeter, splitting his time mostly between industry complaints and being mad about feminism. But his annoyance with the reuse of his and fellow writer Ted Elliott’s work does highlight some of the less-examined issues with Disney’s recent spate of live-action remakes of its animated classics, and the way they interact with union rules and protections for animated films. Specifically, while they are eligible for coverage, animated movies aren’t automatically covered under the normal Writers Guild Of America West contracts, which usually ensure that creators are compensated for things like reuse of their work. Rather, Disney owns the scripts to these movies wholesale, having apparently commissioned them from writers like Rossio and Elliott as contractors back in the ’90s. And so its live-action versions can reprise as much of the original, iconic dialogue as they like, as with the Cave Of Wonders’ rhyme in Aladdin. Legally, what Disney’s been doing with films like this one and Beauty And The Beast (and the whole mountain of other, upcoming projects in a similar vein) is all on the up-and-up, but Rossio expressed his displeasure at feeling cut out of the entire process of remaking a movie he (and a lot of other people) helped write. He also pointed out, quite rightly, that animated films have even more creative diversity than live-action ones, typically, with “story artists and head of story, animators and character designers” all serving as the “heart and soul of the creative process,” and with even less compensation from the studio. It’s not for nothing, but several of the most evocative shots in the new Aladdin trailer were lifted almost verbatim from the storyboarding work of the original film. None of which is to say Disney’s doing anything explicitly wrong here—everyone involved here knew what their contracts said when they signed them, and the studio was careful to give, say, Beauty And The Beast screenwriter Linda Woolverton a “based on” credit with that particular remake. Still, it is one more clue as to why the company has been so invested in this recreation project over the last few years, profiting off of an entire childhood’s worth of positive associations, without having to give any extra money to the people who originally brought them to life.